Sometimes, you need every possible weapon at your disposal. Days like these call for the HELIX™ 7 CHIRP SI GPS G2 and its full arsenal of amazing technologies, including Side Imaging®, Down Imaging® and SwitchFire® Sonar. The seven-inch wide screen is the perfect canvas for your choice of split-screen views. 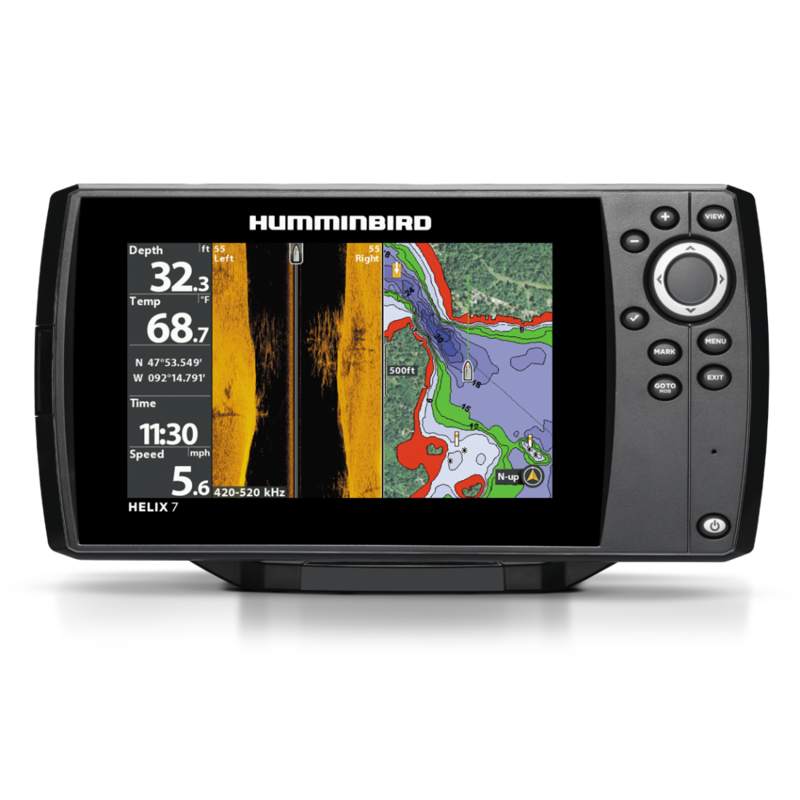 The single card slot accommodates Humminbird® LakeMaster®, AutoChart™ and AutoChart™ Pro, as well as Navionics®+. Leading-edge technology has never been closer in reach. Network Capability.